The vision of the founders was to create an organization where people with a love of music and singing could come together and have fun. 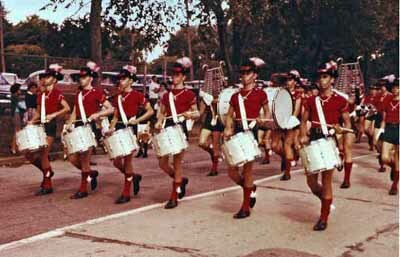 Our roots are deep in the history and traditions of outdoor pageantry that characterized our drum corps history. 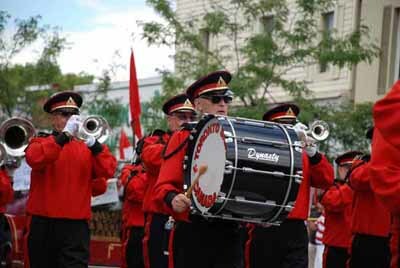 (Below are images of some of the drum corps of southern Ontario.) Our objective is to entertain audiences. The Chorus is a unique entertainment ensemble with a Broadway styled theatrical flair. Big sounds and high energy characterize the performances of DCAT. Over the years of its existence DCAT has grown from a small group of untrained singers into a highly professional ensemble of 40+ members. Membership is open to all. No experience is required. 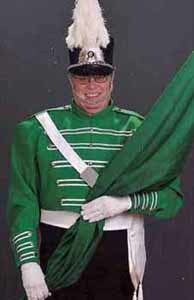 In fact, many of our members have no background in drum corps. Our focus is to provide our members with an opportunity to meet people, have fun and perform together. Most people join for the music and stay for the friendships. The members of DCAT believe that the things that made our drum corps experience wonderful – friendships, camaraderie, dedication, and musical excellence - are universally appealing. We want to share this with others. The DCAT Chorus has performed in many venues across Canada and the United States including the Royal Bank Seniors Gala at Roy Thomson Hall, Breakfast Television and at the South Street Seaport in New York City. 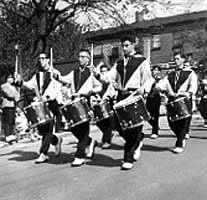 As a member of GAS (Great Alliance of Seniors - see below), the chorus attends and performs at the annual reunion of musicians and singers with a background in drum corps. These reunions most often take place in the U.S. and serves to maintain friendships with people from like-minded groups. The DCAT performances are usually the highlights of these weekends. DCAT has the ability to tailor our performances to any type of event. 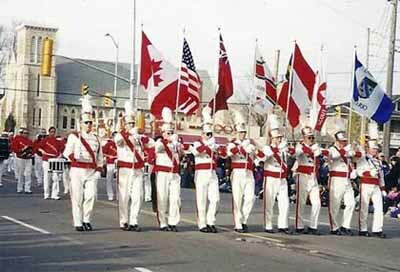 We have performed at annual meetings for the Masons, the Catholic Women's League, the Hamilton International Tattoo, sporting events and annual business meetings. DCAT is also committed to community service and supported many local community events and organizations. We believe that music brings joy to the lives of others. On a practical level, DCAT can assist small organizations organize fund raising events using our show as the focus. 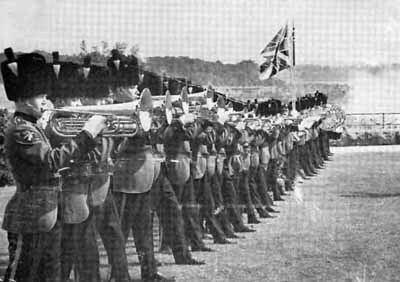 Some members have continued to play their instruments with the Chorus to great effect. Below left are Ort Beaumont and Gord Irvine. 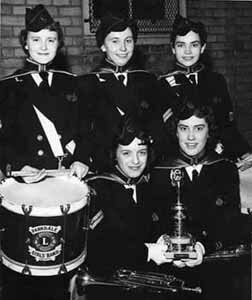 Some neither sang nor played instruments but still became some our most treasured members. In the photo below right is Bob Cunningham - our inspired and inspiring MC for all major events. With him is Gord Moffatt, fabulous trumpet player, who also sang tenor in the Chorus. Unfortunately both of them have left us (see "In Memoriam"). 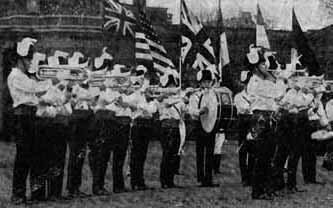 GAS is a fraternal organization of marching drum and bugle corps and related entities from across North America. 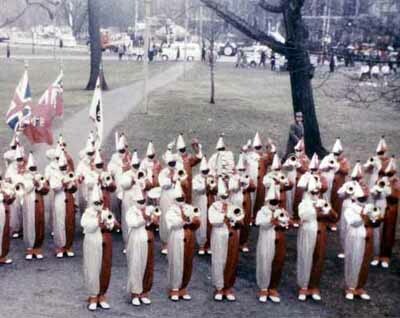 Its purpose is to promote cooperation and camaraderie among its individual member organizations, to perform educational, patriotic and charitable functions and to otherwise help foster their particular approaches to the drum and bugle corps activity.